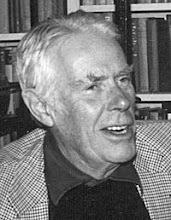 The Anthony Powell Society is pleased to announce the sixth international conference, dedicated to the work, life and times of Anthony Powell, is to be held in the grand and elegant surroundings of the Naval & Military Club, one of London's most prestigious gentlemen's clubs. The club's premises are the former home of Nancy Astor, the first British woman Member of Parliament. Papers that directly address the conference theme of Anthony Powell's Literary London will be especially welcome. Prospective speakers are invited to submit for review abstracts of not more than 300 words. Submissions may be made by email, fax or by post accompanied by the form on the full Call for Papers (or equivalent information). Submissions must be received by Friday 7 January 2011. If you are not submitting a paper but wish to receive further information about the conference and be placed on the priority mailing list please email your name, and mailing address to conference@anthonypowell.org. Further conference details and booking is expected to be available in Spring 2011.